So the Nintendo Switch is a portable console, obviously. We know it is, so we know that we can't expect, say, a nine-hour battery life out of it, even right out of the box. Now that that's out of the way, let's get into it. There's not much lined up for the Switch, but one of the golden games that will be available (Breath of the Wild) was used to test out the battery. It's looking like battery life for this game—and other large ones like it—will run you about three hours on a full charge, maybe a little less. "But wait!" avid gamers everywhere cry. "That's not nearly enough time!" I get it, I really do. I like to sit down for hours at a time and just go to town in a virtual world. But again, bear in mind that this is a hybrid console, so unless you've got a solar generator duct-taped onto the roof of your car you're not going to get unlimited play time. There are plenty of portable chargers that you'll be able to use if it really comes down to the wire. 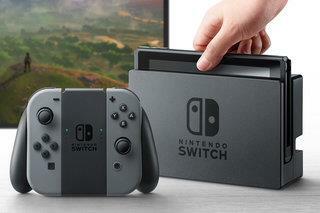 If you're like me, though, and you worried about the console unexpectedly dying before you have a chance to save, worry no more; the Switch will automatically save your progress before powering down. There's always going to be some give and take with hardware like this, but that's pretty decent compensation, especially if you're someone who gets so immersed in games that they forget to save (like me). The Switch launches worldwide on March 3.